August 5, 2014 | Advertising Disclosure | Our Sponsors may be mentioned in this article. 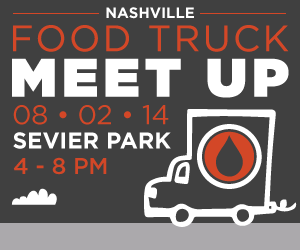 Blood:Water and Project 615 are hosting a Food Truck Meet Up on Saturday, August 2nd in Sevier Park from 4pm to 8pm. Come out to enjoy some delicious food! Each truck is donating 10% of their sales to Blood:Water!